MonsterLeads - Affiliate CPA network reviews and details. 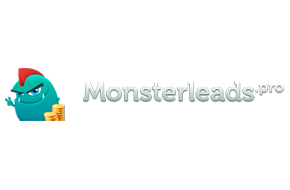 MonsterLeads is a affiliate marketing network based in Russia. At MonsterLeads, we provide customers with unique affiliate marketing offers with a huge selection of promo materials. Our partners are the leading source of users and customers to your websites. With CPA networks, you only get paid for real customers, minimize the risk of not paying the orders and reduce the advertising budget. MonsterLeads gives you what you truly need to boost revenue. You can check MonsterLeads reviews and Offers on Affbank and ask MonsterLeads Team any question by using the contacts above, especially about how to earn money! I always wondered why there is not this affiliate program in the ratings, I have been working with it for a long time, the guys tested. Of course I don’t pour a lot there, mostly ru direction, but a couple of times the money was already withdrawn. About payments, everything is stable. Once I wrote to them when problems arose, they quickly decided. There are Russian managers, it's easier for me with them.